Invite Divine Health and Healing into your life! I invite you to be the Presence of Love in your own life so that you can awaken your true Self, to release the old and welcome the new, to experience a Divine Transformation, & to embrace Blessed Change. Face your fears~ Heal Your Life~ Spread your Wings and Soar! I finally took my own advice. 2013 was a transformational year for me. I graduated with my Bachelor of Education, bought my first home, started my first teaching job, and finally started to focus more on my health. I think it's realistic to say that I've carried excess weight on my body since I was about 7 or 8 years old. In 2004, I managed to lose 60 lbs but after some emotional struggles the following year, I gained all of that weight back, plus more pounds and even more of the type of weight we carry that isn't so visible. 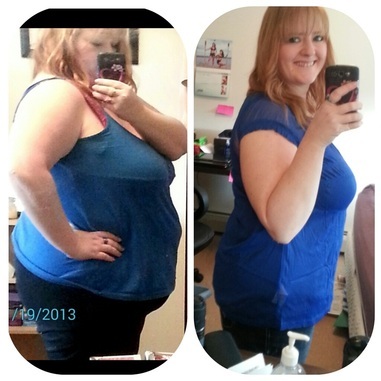 From January to June 2013 I was able to release 50 pounds from my body. Since then, I've released another 20. The last few months have been a bit more of a maintenance and balancing period. However, I am now ready to move forward again. I recently took a huge leap. 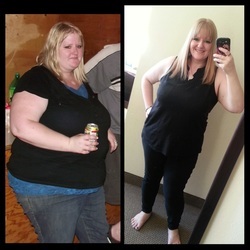 Even though most of my success was visible earlier in the year, it literally took me months to be brave enough to post a full body "before" and "after" photo of myself. I was so ego filled with embarrassment and shame over what my body looked like before. My heart was pounding and it actually felt like the most nerve wracking thing that I've done all year. It meant completely stepping out of my comfort zone and putting a spotlight on an issue I would have rather hid for the majority of my life. The response was overwhelmingly supportive and loving. I now see the experience as another form of releasing and a step towards breaking down the type of walls that we build to keep love out. What was a very fearful moment for me transformed into something I choose to see as liberating and revitalizing. It also reminded me of the importance of loving ourselves, being our true selves, and focusing on the present moment. We are so much more at peace when we focus on the present rather than berating ourselves for past choices or being anxious about the future. I'm now ready to keep on focusing on my health and making better choices each day in the upcoming year. If you'd like to know some of the changes that I made for myself, I'll be sharing more in the near future. I do not claim to be an expert of any kind, just one with lived experience. I know what works for me. It may or may not be what works for you. But I do thank you for being a part of my journey by simply being here and hopefully I can help someone else out there believe that it is possible for themselves to make healthier choices too. I believe that it all starts with motivation and then forming new, healthier habits are what continue to carry you forward. It's only just the beginning, and isn't that just spectacularly exciting! * Making healthier choices each day, such as choosing a better food option off of a food menu or moving more, even if it's dancing in the kitchen! *Tracking my food with the Fitness Pal app has really made me accountable and helped me to see how poor some of my past food and drink choices were! I never liked the idea of tracking food, but it has really been helpful and the app makes it so easy! *Having a friend or two to report to, get support from, and increase accountability. *I get my calories from food, not drink. A majority of the time I drink only water and tea, but I do have coffee now and again. *Having a treat (formerly called cheat) day once in a while and not feeling bad about it! Treating myself once in a while, as long as I get back to healthier choices the following days, helps me to realize that a healthier lifestyle is possible and maintainable without feeling denied! 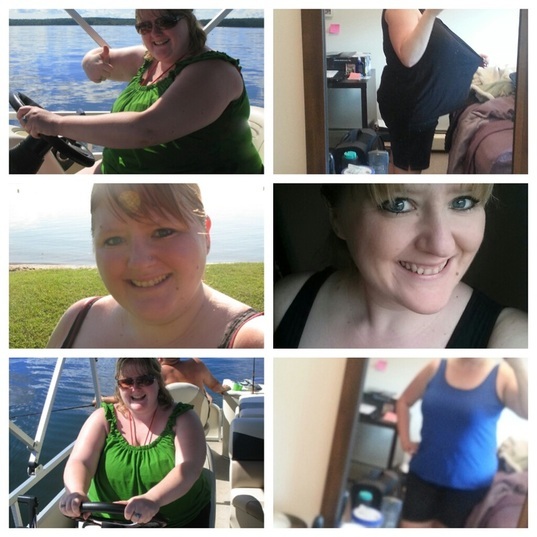 *May 2014 I started using products from a company that have helped to tighten and tone my skin. I have been able to maintain the weight that I had reached. I am looking forward to releasing an additional 40lbs now. It's a lifelong journey and it helps to have someone to share it with.